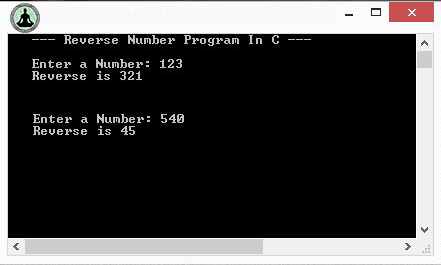 Write a program to reverse a number or digits in C, a very basic and commonly asked question in interviews and exams. Today you will learn the standard method to reverse the number or digits and later we will tell you the error or bug which ever reverse number program have and how to remove that error completely! e.g If you enter 540 than the reversed number will be 45 instead of 045. So the only thing we have to do is count the leading number of zeros and print them before the reversed number. Lets see how to do that! @Prashanth you just want to change the location of last digit? This is where I am truly stuck. The only way I can think of doing it is by turning the input number into a string, but then I personally don't know how to do it through that method either. This is a really tricky problem as a beginner.